Luxury Maldives Holidays - contact us to book your 5* luxury holiday today. Enjoy Luxury Maldives Holidays in paradise as you slide into tropical blue seas, be dazzled by the fish as they lap at your feet or relax as your own private butler brings you afternoon tea on your private deck. The Maldives is paradise on an un-precedented scale. Each island has it’s own unique style and charm, as well as it’s own definition of pure luxury Maldives style. The only problem could be deciding which island to choose for your luxury Maldives holiday. Within each resort you’ll find a variety of restaurants and bars providing flavours from around the world. With a choice of over 50 five star island resorts you are spoilt for choice when it comes to luxury Maldives holidays. From the finest of 5 star accommodation, we will guide you through each to find the perfect resort for you. Our very finest luxury 5* Maldives holiday resorts provide bed and breakfast style accommodation allowing you to choose how you enjoy your holiday. Each five star island includes the very best cuisine offering a true taste sensation. With all this choice of luxury Maldives holidays we are here to help you find the holiday of your dreams. The ultimate in luxury, the most luxurious and desired accommodation in the Maldives. Enjoy private facilities stretched out over the clear blue seas. Your own private villa built on stilts over the water. Private decking allowing you to sunbath or dine in seclusion. With these villas you have the added luxury of your own private Jacuzzi overlooking the sea. 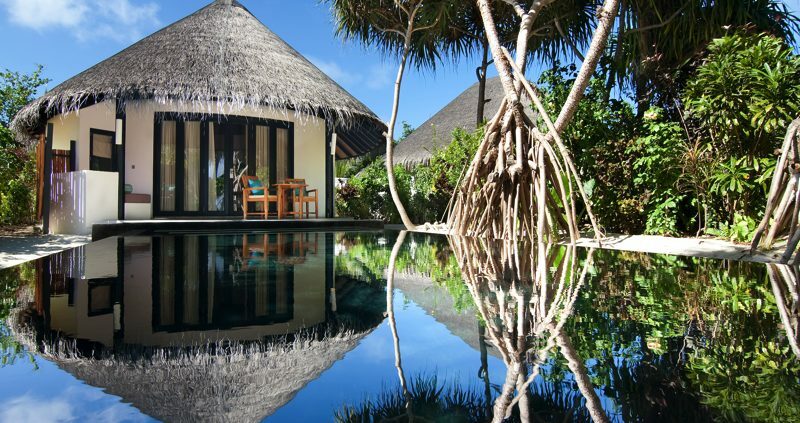 This real is a pure luxury Maldives holiday choice. 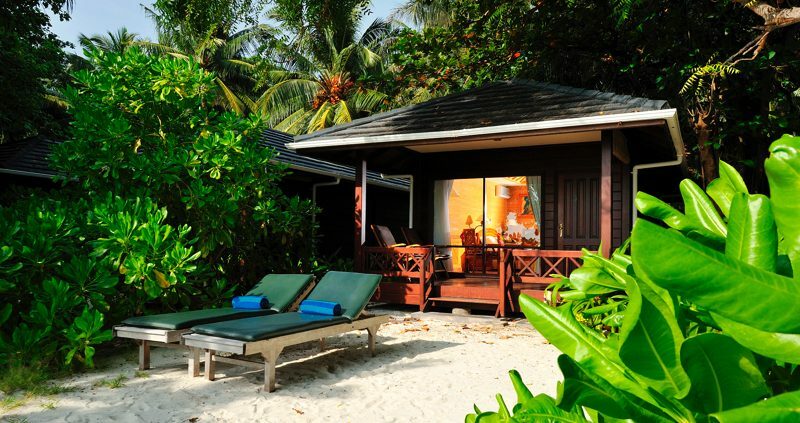 The best luxury Maldives accommodation you can find sitting on a beach overlooking the sea. 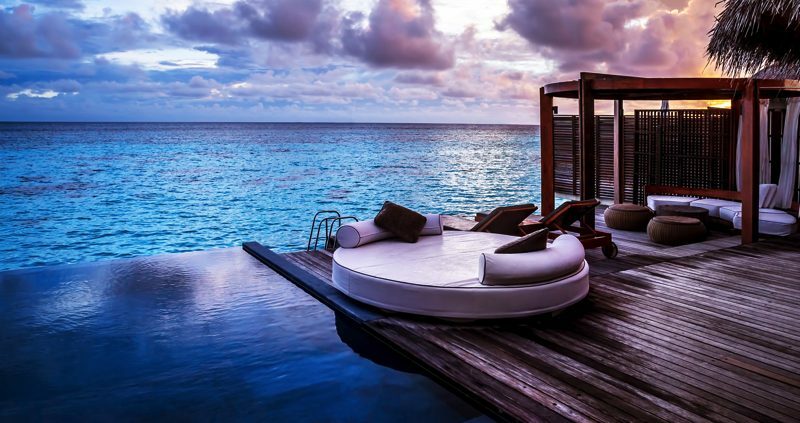 Everything you would expect from a Maldives villa. Elegance and comfort overlooking the beautiful and tranquil sea. Lavish décor, romantic lighting and plenty of facilities to keep you entertained. Large spacious rooms with patios / decking leading directly onto the white golden sands. 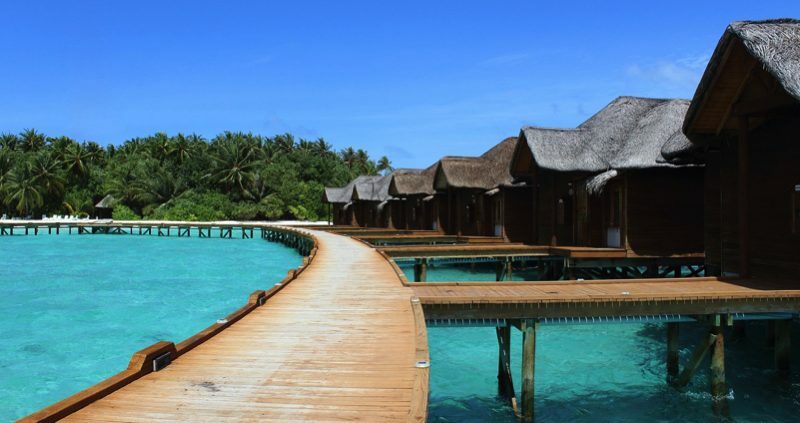 This is a popular luxury Maldives holiday option. Your Jacuzzi Beach Villa will of course include it’s very own private Jacuzzi, often in an open air bathroom. Ideal to help you unwind after a hard day relaxing by the pool. You’re never far from the shore so why not enjoy the pool or gardens. Your luxury Maldives holiday accommodation can lead directly into the heart of the island giving you a unique perspective and an unforgettable time on the resort.